It is important to first recognize that not all black mold is necessarily toxic. 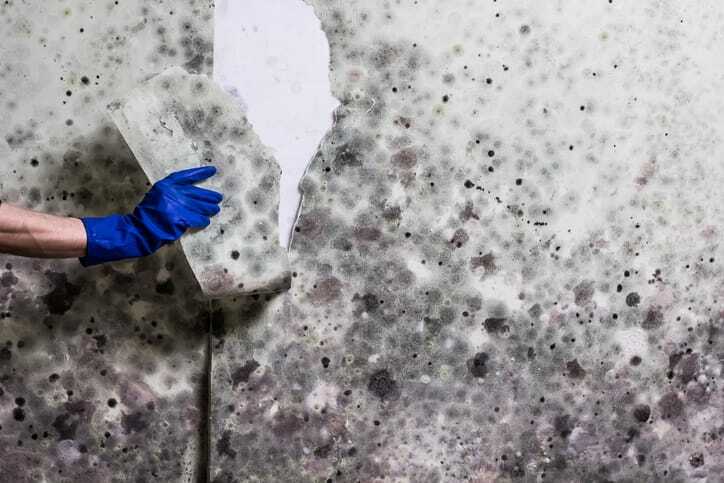 The dreaded species of black mold or toxic mold is known as Stachybortys chartarum that produces toxic mycotoxins that are harmful to both humans and pets. It’s not necessarily the mold itself that is the problem but rather the toxins that it produces. Toxic black mold often looks dark greenish to black and appears slimy although can sometimes appear grey in color. The mold has a musty odor and produces symptoms when inhaled or ingested including respiratory distress or breathing difficulties, irritation of the mucous membranes, unrestrained sneezing and/or coughing, confusion, bladder discomfort and general fatigue and tiredness often accompanied by headaches. Although whether or not the mold is toxic is a serious concern, the presence of any type of mold on your insulation points to a moisture and humidity issue in the attic that needs to be resolved. The mold otherwise wouldn’t grow without the presence of these conditions so removing the mold itself isn’t a sufficient solution to the problem. Unfortunately, removing mold from insulation is often difficult and more often impossible. Depending on the scale of the problem, some chemicals such as mildicide may be applied to make the mold inert although this is only a temporary fix as the mold re-grows the moment moisture is reintroduced into the space. In most cases you will have to remove and replace the insulation. It is also necessary to inspect the dry wall against the insulation and wood studs for mold and rot and replace accordingly. Most moldy insulation doesn’t require any special disposal although it may be necessary to check with a professional for toxic black mold. Apart from the mold itself, moisture on your insulation damages it and seriously reduces its R-value and can render it useless. Hire a professional to remove and replace the insulation for the best result. You may need to treat the wood studs and other affected areas with chemical compounds along with sanding to remove the mold if there is no serious structural damage. This should be a decision left to an expert. 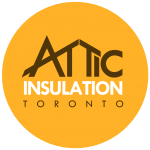 Attic Insulation Toronto does a thorough evaluation of the attic space before coming up with the appropriate remediation. Our specialized equipment makes our work clean both when removing old insulation and installing new one without disturbing or contaminating the rest of the house. The energy efficiency you gain from professional attic insulation installation more than pays for the service within a short time. Poor Attic Ventilation: high attic temperatures during the day and subsequent cooling at night causes condensation and moisture problems. Ideally, the attic temperature should be close to the outdoor temperature to prevent moisture issues, usually within 10 degrees of outside temperatures. It may be necessary to install an automatic vent fan that turns on when moisture exceeds a certain level. Poor Vent Ducting: this happens when kitchen and bathroom ducting discharges into the attic directly. The ducting should discharge outside the house only. Air leaks in the attic: this is most common with poorly insulated attic and around where plumbing vents and recessed lighting fixtures enter the attic. You may notice areas of the insulation that are discolored which points to air leaking through the insulation. The insulation works as a filter in this case trapping dust particles and debris from the air passing through. Leaky Roof: roof leaks are an obvious cause of moisture problems in the attic. Common places include where fixtures such as plumbing vent pipes and chimney enter the attic. Old or damaged shingles also cause roof leaks.